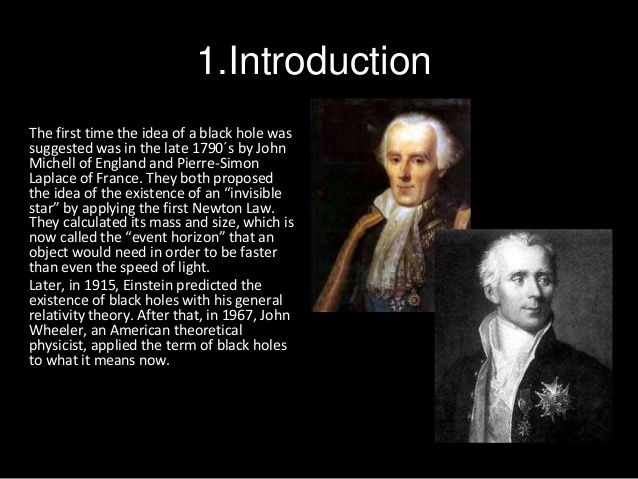 Black Holes were predicted at the end of the Eighteenth Century. I am not here campaigning for justice or historical precision, by giving Michell and Laplace the honor due to them. I am also defending physics, and promoting understanding. The guy with the bushy hairdo didn’t launch understanding of Black Holes. That means Black Hole theory arose for DEEPER reasons than in Einstein’s theory of gravitation. Deeper reasons is what science is all about. Black Holes are indeed an effect of the most basic theory of gravity which was elaborated in the 1560-1800 CE period by Tycho, Kepler, Galileo, Bullialdus, Hookes, Newton, and finally Laplace. That basic theory of gravitation is the first order of the present theory of gravitation. The Black Hole effect, per se, has nothing to do with Jules Henri Poincaré’s Theory of Relativity (translated into German by Einstein). Un astre lumineux, de la même densité que la Terre, et dont le diamètre serait 250 fois plus grand que le Soleil, ne permettrait, en vertu de son attraction, à aucun de ses rayons de parvenir jusqu’à nous. Il est dès lors possible que les plus grands corps lumineux de l’univers puissent, par cette cause, être invisibles. Here I will follow Laplace’s proof. 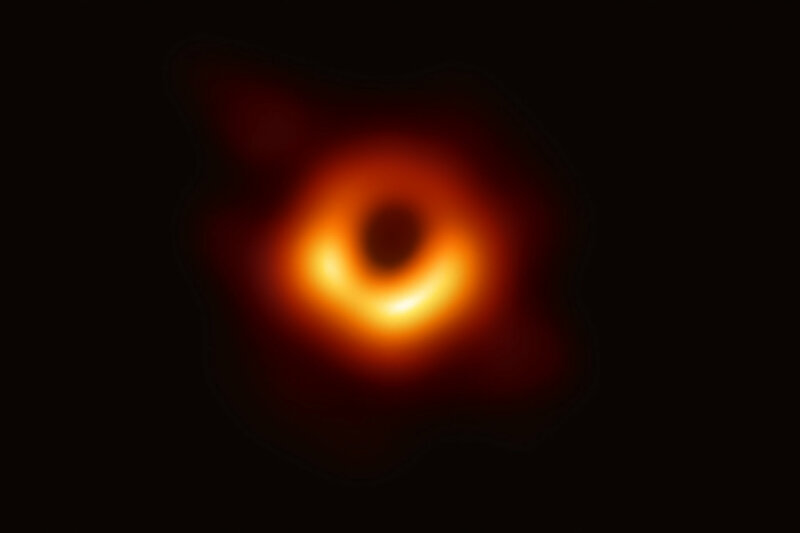 The Black Hole effect comes from the fact that the gravitational attraction is proportional upon the mass of an object, but also inversely proportional to the distance of said object, while the energy of an object necessary to escape the gravitation, is simply proportional to its mass. So, if too close, the gravitation will overwhelm any escape energy. But now, as early as the late 17C, the speed of light became known, by observing carefully Jupiter’s satellites. It’s c, a constant. So we get: x= bM/cc. Hence, if x is smaller than bM/cc, the potential gravitational energy Gm/x is TOO BIG to become 1/2 mcc. Let’s put it in words only. Suppose light is a particle of mass m.
Matter Falling into the Black Hole or running crazy orbits around it at relativistic speeds generate lots of heat, by collision and sheer acceleration (like a super enormously incredibly humongously giant circular particle accelerator, CERN on unimaginable steroids…). With 6.5 BILLION Solar Masses, this is one the largest Black Holes known. Here is the simplest proof of E = mcc. Light pushes, it has momentum. So light acts as if it had what’s called “inertial mass”. Now the “Equivalence Principle” says that inertial mass = gravitational mass. Thus, light behaves as if it were endowed with a gravitational mass m, as used above. So what’s the next problem in my hare brain derivation of Black Hole? None, really. The modern gravitation theory (aka General Relativity) integrates the LOCAL TIME theory of Lorentz-Jules Henri Poincaré into the gravitation theory of Newton. Local time runs slow in a gravitational field, and the deeper the gravitational well, the slower the time. Thus, if I wanted to ameliorate the hare brain Black Hole theory, I would have to add that…. The full Einstein gravitation theory simply says that: Ricci Tensor = Mass-Energy Tensor. The preceding is very simple, thus ironclad. So here it is: physics is not that complicated. Many scientists present science as more complicated than it is, so they appear to be great sorcerers or shamans. An example is the claim made by Darwin that man arose in East Africa (then a UK dominion). There was evidence for this, as the Brits digged in East Africa. When the Chinese digged in China, they begged to differ. Humans had originated in China too, they insisted. Now another human species was just discovered, in the Philippines… ‘Homo luzonensis’ boasted an eclectic mix of features comparable to, but distinct from, different species of hominins. So this is another human species which lived 50,000 to 60,000 years ago. We now have five. It’s clearly a different species as they have three root teeth where we have just two. Science is both simple, and complex. Often the lack of simplicity, and the grandiloquent style in exposition, is just an attempt to hide ignorance, and leveraging said ignorance in awe for the perpetrators of pseudo-scientific obscurantism. Yes, before science becomes straightforward, it’s made of crooked timber: something we held as sure, and a great discovery of the last few years, is often revealed, on second examination, as in need of serious tweaking: the initial breakthrough survives, but transmogrified. As an interlude between aspects of the civilization bandwagon, with more lofty essays, let’s look at the future… space. Yes, the future is space: it is to us what the savannah, was to the genus Homo. The savanna, in combination with necessity, will, and the Élan vital of colonization, evolved us. The same Élan vital spurs space colonization. Élan vital, popularized by Nobel laureate philosopher Henri Bergson,was central to Lucretius-Epicurus philosophy of 23 centuries ago (philosophy which Christianism eradicated by burning its books, and killing its practitioners and defenders). It’s pretty clear that humanity, barring a deplorable accident, will be able to spawn across the galaxy: there are plenty of habitable planets out there, and, thanks to NASA, Elon Musk and his ilk, cheap access to space will come very soon. However, the complementary technology we need for mass space colonization, compact controlled thermonuclear technology, has not yet arrived… Indeed, “habitable planet” doesn’t mean life appeared there, let alone advanced life, or civilization. So planets will be found, ripe for colonization, yet life-less. Colonizing Europa, for example, is feasible: there is plenty of water. Yet it will necessitate to harness fusion power (except if battery tech leaps ahead, and photovoltaics could be used after all…). 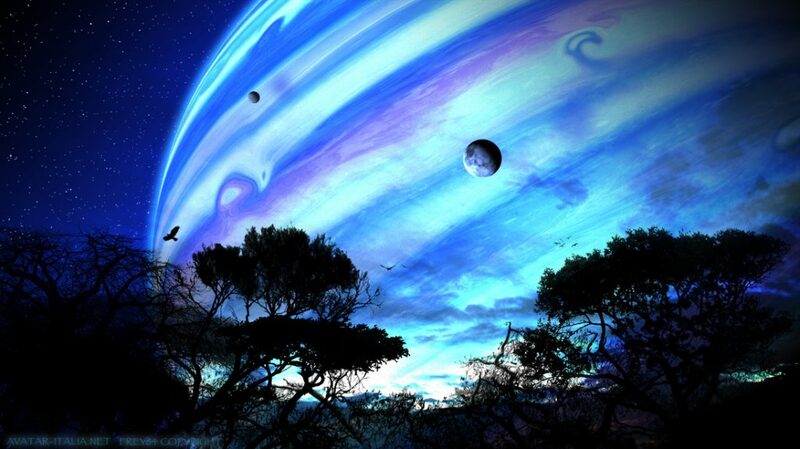 Nearly 4,000 exoplanets have been found by 2018. 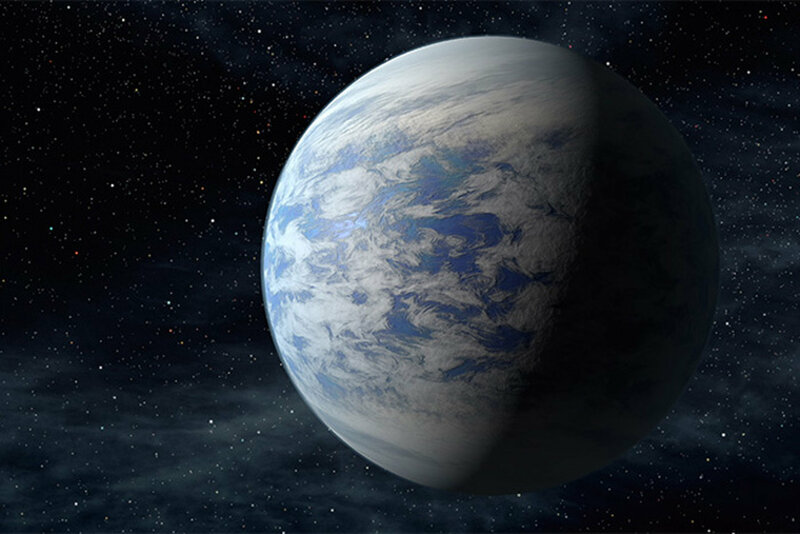 Supposedly, NASA’s prolific Kepler space telescope has discovered about 30 roughly Earth-size exoplanets in their host stars’ “habitable zone” — the range of orbital distances at which liquid water can likely exist on a world’s surface. One doesn’t want planets to be too large: they would crush life as we know it, and retain light gases, making them “mini-Neptunes”. However observations by the European Space Agency’s (ESA) Gaia spacecraft suggest that the actual number of habitable planets among them is probably only between two and 12, NASA officials said today. Ooops. Before the scoffing starts, let me observe that this means, mostly, that the habitable zones have to be computed again: so planets in systems viewed as inhabitable, maybe, actually habitable, after all. And vice versa. 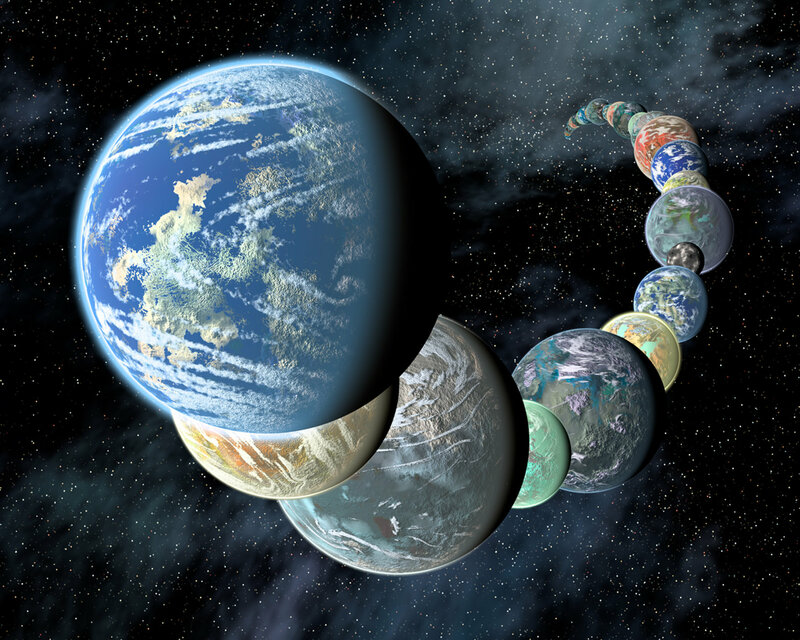 So may be only a couple of habitable Kepler planets are habitable, but others may be. Gaia launched in December of 2013 to create an ultraprecise 3D map of our giant galaxy, the Milky Way. So far, this map includes position information for about 1.7 billion stars and distance data for about 1.3 billion stars. Kepler records the brightness dips caused when a planet crosses its parent star’s face from the Kepler telescope’s perspective. Estimates of such planets’ sizes are derived from the percentage of the stellar disk they block during these “transits.” So, if the stars’ diameter is revised upward, because it’s brighter, so is the size of the planet. Astronomers, astrobiologists and planetary scientists still have a lot to learn about exoplanet habitability. So philosophers can strike: I pointed out that life may be common in the galaxy, but not so advanced life. “We’re still trying to figure out how big a planet can be and still be rocky,” declared Jessie Dotson, astrophysicist at NASA’s Ames Research Center in Silicon Valley. Dotson is the project scientist for Kepler’s current, extended mission, known as K2. That will depend in part upon the nature of the planet’s rock, especially its density. As I have pointed out, The concept of the habitable zone can’t be based solely on water and orbital size relative to the star’s output. 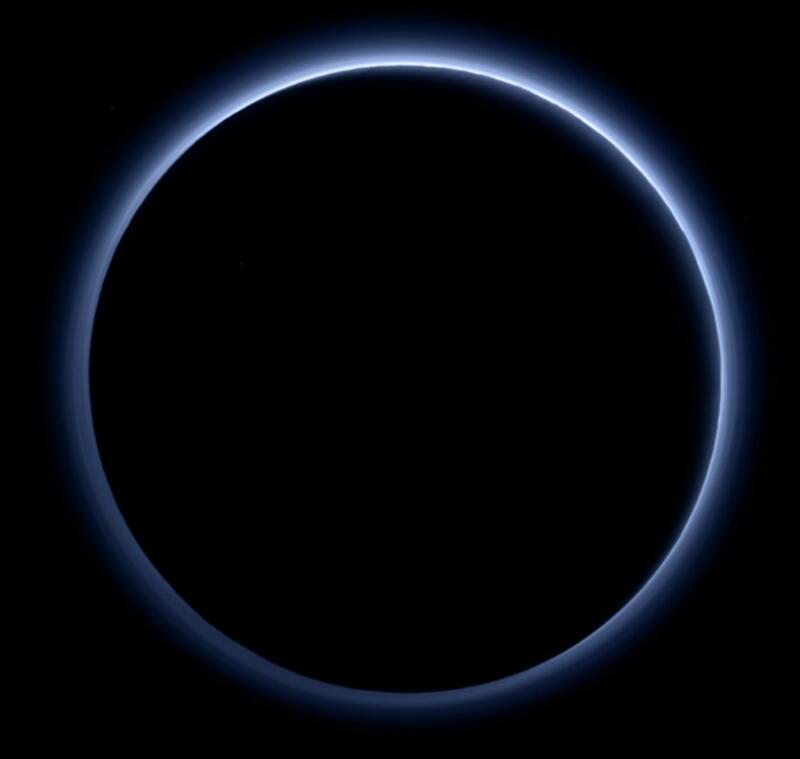 That would ignore important planetary characteristics, such as mass, which influences a world’s ability to hold onto an atmosphere, and which sort of atmosphere it holds. Then, there’s atmospheric composition, which greatly affects a planet’s temperature, and depends upon the planet’s gravity. Life may not require liquid water on the surface. A number of frozen-over moons outside our own solar system’s habitable zone, such as Jupiter’s Europa and Saturn’s Enceladus, have giant buried oceans that may be capable of having evolved life as we know it: at first sight, they seem to have had warm, liquid water, for even longer than Earth. Indeed their heat is gravitationally generated, from massaging the moon with the giant planet’s gravity. The $600 million Kepler mission launched in March 2009, following a successful pioneering French satellite, named after another astronomer, Corot. 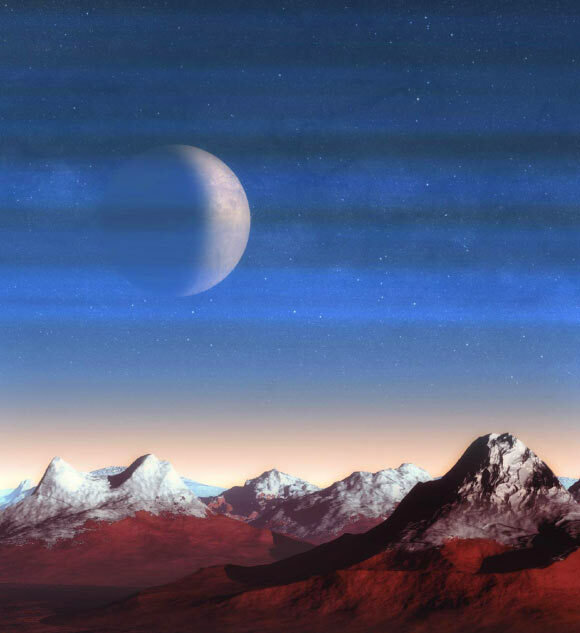 The first confirmed exoplanet was discovered at the French Observatoire de Haute Provence. As of 1 October 2018, there are 3,851 confirmed exoplanets in 2,871 stellar systems, with 636 systems having more than one planet. Further philosophy out of all this? Next: the related, and philosophically as deep as it gets Big Silence From Necessary Malevolence? Will Starburst Galaxies Explode the Big Bang? A (Non Spectacular) Starburst galaxy, the Cigar, 12 million light year away. Full starburst galaxies are very blue, from the giant extremely hot (thus blue) stars in their midst. How much do we know about Helium formation in such super giant stars? Philosophers want to know! So why is the Big Bang necessary? Besides making some people more puffed up than god itself? Inspired by the H bombs they were thoroughly familiar with, Gamow, Alpher and Herman proposed the hot Big Bang as a means to produce all of the elements: extreme heat caused collisions and the nuclei fused (from the “STRONG FORCE”). Ms. Burbidge, Mr. Burbidge, Fowler and Hoyle worked out the nucleosynthesis processes that go on in stars, where the much greater density and longer time scales allow the triple-alpha process (He+He+He –>> C) to proceed and make the elements heavier than helium. But BBFH could not produce enough helium. The solution, which Hoyle didn’t like at all, was to make the Helium in the Big Bang. Now we think we know that both processes occur: most helium is produced in the Big Bang but carbon and everything heavier is produced in stars. 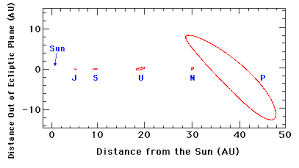 Most lithium and beryllium is produced by cosmic ray collisions breaking up some of the carbon produced in stars. In a pirouette, Helium abundance is now viewed the observation which makes the Big Bang necessary… Yet, all this rests on an ironclad understanding of stellar physics… which we assume we have, although we don’t. Astronomers at the gigantic, high altitude Atacama Large Millimeter/submillimeter Array (ALMA) in Chile investigated intense bouts of star formation in four distant, gas-rich starburst galaxies, where new stars are formed 100 or more times faster than they are in the Milky Way. Examples of delayed wisdom: a) The Atomic Theory, of course, complete with eternal motion in the small (which the Greeks had observed and is strikingly described by Lucretius). The theory was then forgotten until the 19C. b) The Archimedean Axiom in arithmetic/theory of infinity, undetected until 1950, when the US logician/mathematician Robinson detected it. d) Biological evolution theory, lost between Anaximander and Lamarck… Although practiced by all serious breeders (especially Greek). Watch This Ocean Of Galaxies, And Tremble! Observations of galaxies and galaxy clusters in the local universe accounted for only 10% of the “normal” particle, baryon content inferred from measurements of the cosmic microwave background and from nuclear reactions in the early Universe. Locating the remaining 90% of baryons has been one of the major challenges in modern cosmology. Cosmological simulations predict that the ‘missing baryons’ are spread throughout filamentary structures in the cosmic web, forming a low density gas with temperatures of 10^5−10^7 Kelvins. Using the acceleration of photons by very hot plasma (“Inverse Compton Scattering”), The estimated gas density in these 15 Megaparsec-long filaments (that’s around 50 light years) is approximately 6 times the mean universal baryon density, and overall this can account for ∼ 30% of the (Big Bang hypothesized, thus deduced) total baryon content of the Universe. This result establishes the presence of ionised gas in large-scale filaments, and suggests that the missing baryon problem may be resolved via observations of the cosmic web. That partly solves the missing mass problem for normal matter. It has nothing to do with the missing mass problem for Dark Matter, or Dark Energy. I suggest both arise from a (Sub-)Quantum Effect, a prediction from a theory more general than Quantum Physics as we know it today. The basic idea is that there is something one should know as the “Quantum Interaction”, and it proceeds at a finite speed. he “Quantum Interaction” would be the Entanglement speed and the Collapse speed. Over cosmological distances, it leaves remnants: Dark Matter. It also weakens gravitation over cosmic distances, accelerating the universe. Some will scoff. However, basic ideas in physics can be simple. Often the simpler, the deeper. Back in 1969 the Sunyaev-Zel’dovich paper predicting the effect of hot plasma on Cosmic Background light came out, The interaction of matter and radiation in a hot-model universe. It would be decades before the effect was first detected. The paper was written almost entirely by Sunyaev, with the famous Zel’dovich (“Cosmic Inflation”) merely adding in how difficult the effect would be to detect. Nearly 50 years later, it has been used it to detect the missing normal matter in the Universe. However the fundamental idea is just Inverse Compton Scattering. Nothing new. Prizes such as the Nobel lionize, erroneously, a few people misleading us in how the achievements of humanities in the matter of science are achieved (even Scientific American agrees a bit with me now). The nearly dozen scientists mentioned in the present story related here, however meritorious, were eminently replaceable, but their discovery was not. It’s good to focus on “General Relativity” and Cosmology without the cloak of mathematics gone wild and unsupervised, indeed. Anything having to do with “General Relativity” has a lot of extremely debatable philosophy hidden below a thick carpet of computations. Abuse of philosophically unsupervised spacetime leads one to believe in time machines, wormholes, and similar absurdities. A recent discovery such as Dark Energy (ever expanding space faster than previously anticipated), and a not so recent one, Dark Matter, show one has to be extremely careful. First a philosophical trap: “General Relativity” (GR) is a misnomer. It’s not clear what’s being generalized. GR is certainly a theory of the relationship between gravity and local space-times (the Theory of Relativity of space and time which Poincaré named that way in 1904). Einstein was initially motivated to explain inertia according to the Newton-Mach observation that the distant stars seemed to endow matter with inertia (because if matter rotates relative to distant stars, a centrifugal force appears). That way, he failed, as Kurt Goedel produced spacetime models which rotated wildly without local consequences. Frame dragging exists nevertheless, and is crucial to GPS. So GR has local consequences. Neither Poincaré nor Einstein liked the concept of “spacetime”. 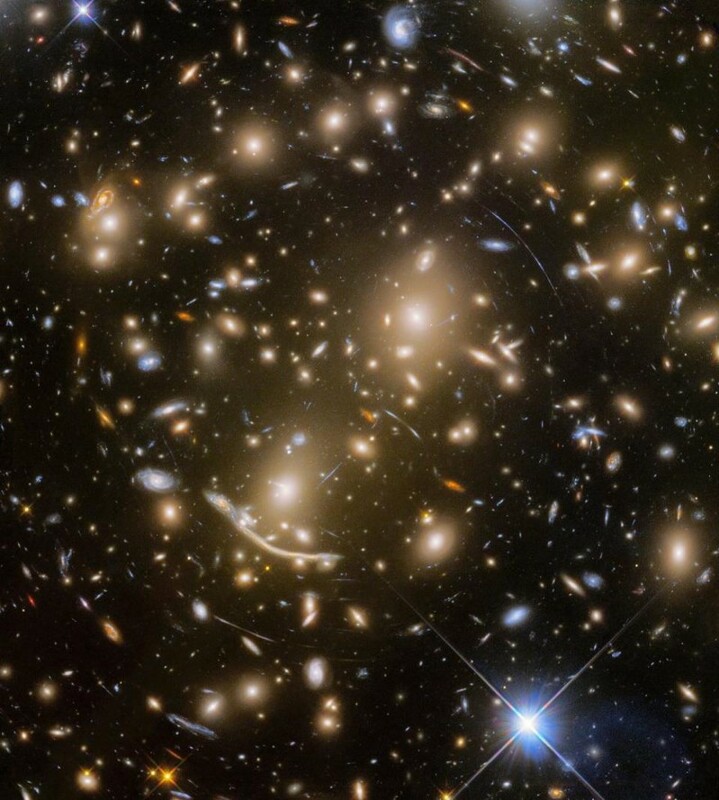 There are massive galaxy cluster, such as Abell 370 (shown here). They can be made up of thousands of Milky Way-sized galaxies. This is beyond anything we can presently have a feeling for. The space inside this cluster is not expanding, that’s a fact, but the space between this cluster and other, unbound, galaxies and clusters, is viewed by today’s Main Stream Cosmology, as expanding. I’m robustly skeptical. Image credit: NASA, ESA/Hubble, HST Frontier Fields. A question has naturally come up: if space expands, how come we don’t? An answer to this has been the raisin bread model of the expanding universe. However, the entire area is contentious. The usual snap-back of haughty physicist keen to deny any brains worth noticing to the Commons, is to say that all those who don’t understand the mathematics at hand should shut up. That’s a disingenuous answer, as NOBODY understands fully the mathematics at hand (those with snappy rejoinders know this, but they enjoy their power maliciously). Personally, I think that both space and time are local concepts (as long as one does not add to consideration the Quantum theory, as it was created, post 1923, by De Broglie, and after 1924, by the Copenhagen School). Local space and local time are united by the speed of light, c, through naturally ubiquitous light clocks. Space and time are measured locally (although Poincaré proposed a slow motion to move synchronized clocks around, and Einstein copied and published that mechanism, verbatim, as he had with E = m c²). It has been proposed that the redshift of cosmological photons, and its attribution, 100%, to the expansion of spacetime, is a proof of the expanding “spacetime”. One must say that this statement is the core of present cosmology. And anybody looking down on the idea will not be viewed as serious by famous physicists. However just saying something does not prove it. Especially when the conclusion seems to be the hypothesis. Lorentz- Poincaré Local Space and Time theory was experimentally provable (electromagnetism proved it). But where is the proof that the universe is like an expanding dough, spacetime, with galactic raisin grains in it? Just waving the notion that the atomic force is 10⁴⁰ the gravitation force at a small scale does not seem compelling to me. It’s rather a question of range: gravitation is much longer range, although, much weaker. Thus the geodesic deviations due to gravitation show up at a very great distance, whereas those due to atomic and molecular force cause enormous geodesic deviations, but only at very short range. We are these enormous local deviations, larger by 10⁴⁰ locally. Yet, even this more precise argument smacks of hand waving. Why? Because a theory of local forces as curvatures, although posited by Riemann in 1865, and the foundation of GR, still does not exist (that’s one thing string theory was trying to achieve, and failed). Gravitation remains the only force that is tautologically equivalent to a curved space theory. Quantum Physics has provided that theoretical spacetime with a nonlocal causal architecture (through Quantum Entanglement). However that “causality” although geometric, is non metric (and thus manifests itself with no geodesic deviation, no force). Einstein, after a debate on nonlocality imparted by the Quantum, with the Austrian philosopher Karl Popper, attracted the world’s attention on that problem in 1935, with his famous EPR paper. There Einstein denounced the way the “spooky action at a distance” affected distant “elements of reality”. Since then, the spookiness at a distance has been amply confirmed (and enables to encrypt space communications while knowing 100% whether they have been breached, as a Chinese satellite recently showed). Nonlocal effects show unambiguously that the metric (of “spacetime”) does not capture all the geometry (an notion which may surprise physicists, but not those mathematicians who have studied the foundations of their field). This Quantum architecture has led, so far, to no prophecy, let alone theory, by established physicist. Entangled Quantum architecture is actually not part of the General Relativistic raisin cake model (or any GR model). However, I will venture to say one can view it as predicting Dark matter, at the very least. It’s just a question of baking something more sophisticated than raisin bread. Long story short: My own theory of Dark Matter predicts that Dark Matter is EMERGENT. That could be viewed as a huge flaw, easy to disprove, sending me back to a burrow somewhere to pursue my humble subterranean existence of sorts. HOWEVER, big surprise: DARK MATTER EMERGENCE seems to be exactly what was just observed in 2017, at the European Southern Observatory (ESO)! What is the problem? Four centuries of physics possibly standing on its head! (Using the virial theorem,) Swiss astronomer Fritz Zwicky discovered and named Dark Matter, or, as Zwicky said in German, “dunkle Materie“, in 1933. 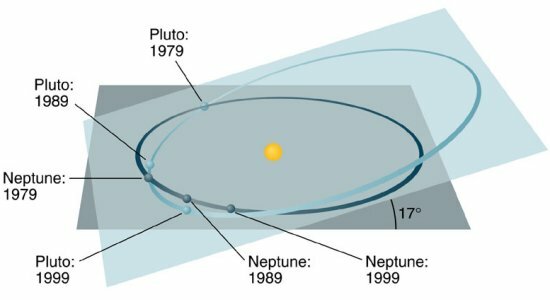 Zwicky observed an enormously mysterious gravitational pull. Many studies since the 1930s provided evidence for Dark Matter. Such matter doesn’t interact with light, that’s why it is dark. Thus, one can only observe the effects of Dark Matter via its gravitational effects. How does one compute the mass of a galaxy? At the scale of galaxies, or galactic clusters, the motions of objects is indicating at least ten times the gravitational force that should be there, according to gravitation theory, considering the mass we see (that is the mass of all the stars we see). Problem: that would mean that he so-called “Standard Model” of physics has no explanation for most of the mass in the galactic clusters. 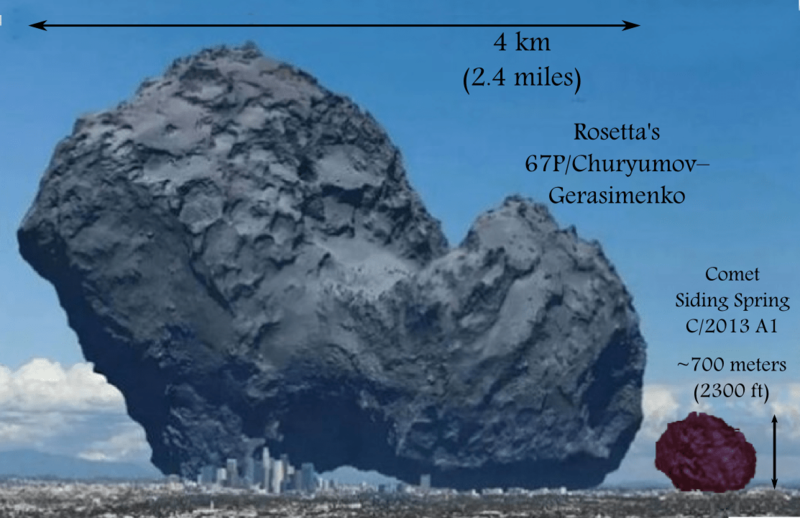 Reality check: the celebrities of physics are very arrogant, and think they know exactly what the universe had for breakfast, 13.8 billion years ago, and how big it was (never mind that their logic is ridiculously flawed). Up to a few years ago, many were in denial that they were missing most of the mass-energy in the universe with their Standard Model theory. However, here they are now, having to admit they missed 95.1&% of the mass-energy in the universe (according to their own latest estimates)! Why still true today? The carrier of force are particles.If they go to infinite distance (as electromagnetism and gravitation do), then the density of filed carriers (photons, gravitons) will go down, as Bullialdus said, for the reason he gave. The ESO (European Southern Observatory) observation, illustrated above by ESO itself, seems to condemn BOTH of the two known, “official”classes of solutions for the gravitation problem: LCDM Dark Matter and Mond. 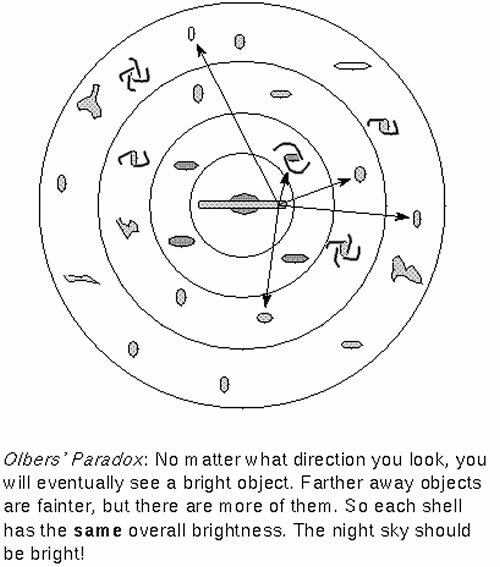 The only theory left standing is my own Sub Quantic Dark Matter theory, which is fully emergent. 2017 ESO Discovery: Slowly Spinning Old Galaxies:Natascha Förster Schreiber at the Max Planck Institute for Extraterrestrial Physics in Germany and her colleagues have used the European Very Large Telescope in Chile to make the most detailed observations so far of the movement of six giant galactic discs, 10 billion years ago. They found that, unlike in (quasi-)contemporary galaxies, the stars at the edges of these galaxies long ago, far away, move more slowly than those closer in. 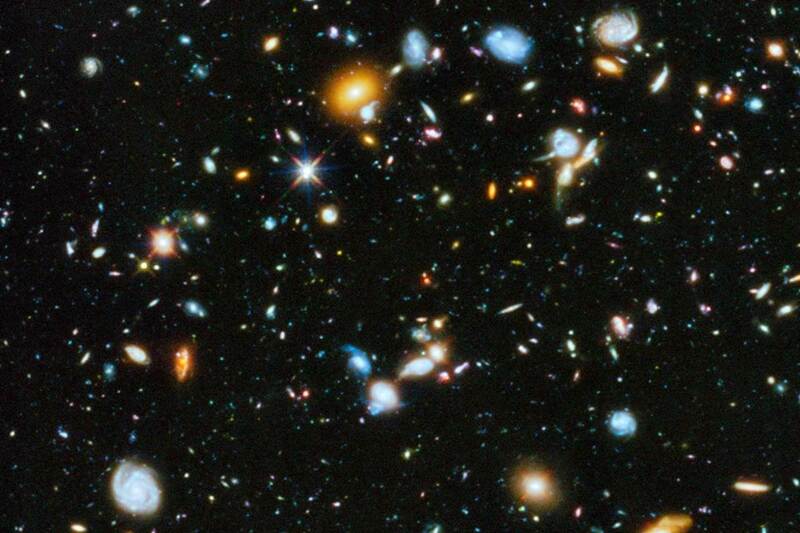 About 10 billion years ago, there was a peak formation period of galaxies. 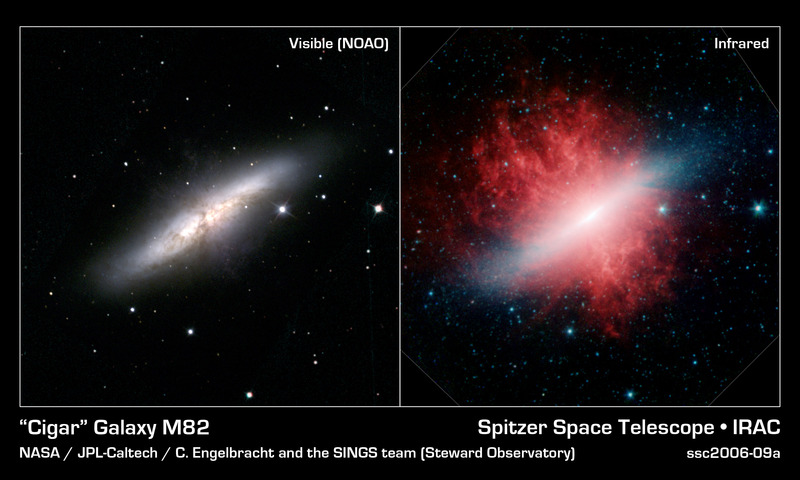 By looking 10 billion light years away, one can see what was going on then, and have plenty of galaxies to look at. Where was the Dark Matter there? Was there Dark Matter then? One can answer these questions by just looking, because Dark Matter shows up in the way galaxies rotate, or orbit (in galactic cluster). The result is both completely unexpected and spectacular! 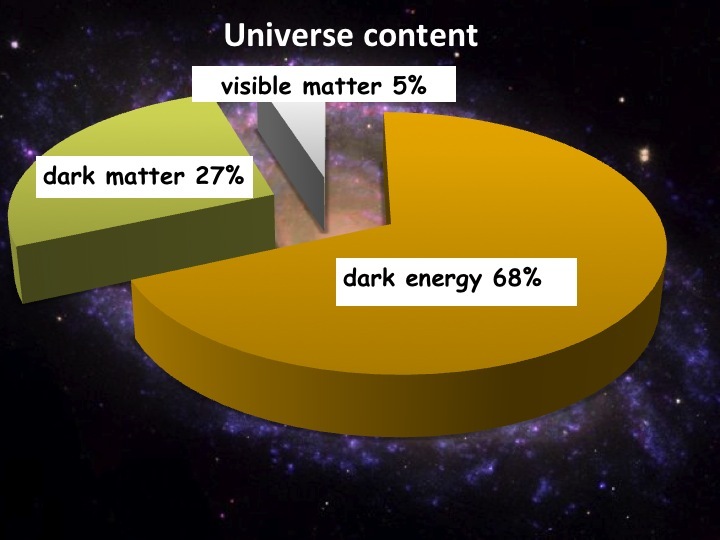 I am thrilled by it, because what is observed to happen is exactly the main prediction of MY theory of Dark Matter! LCDM cop-out: Dark Matter makes halos, like around the Virgin Mary’s Head! On the face of it, the discovery about those ten billion year old galaxies say that the galactic disks then did not contain Dark Matter. That seems to me that it shoots down both MOND theories and the LCDM model (that’s the fancy name for the conventional Big Bang, latest version). However, conventional scientists, and, in particular, cosmologists, are good at pirouettes, that’s why they are professionals. There is still a (twisted) logical escape for LCDM model. The differences in early galaxies’ rotations demonstrates that there is very little Dark Matter in towards the middle of their disks, to start with, reason the Cold Dark Matter specialists. Instead, those ancient galaxies’ disks are almost entirely made up of the matter we see as stars and gas. The further away (and thus earlier in cosmic history) the galaxies were, the less dark matter their disks contained. The specialists suggest that the turbulent gas in early galaxies condensed into the flat, rotating disk shapes we see today more quickly than Dark Matter, which remained in a diffuse “halo”, which would progressively fall in… but had not started to falling enough, ten billion years ago. (That’s weird, because I thought LCDM mixed normal matter and dark matter, right from the start. In any case, I am not going to make their increasingly fishy case for them!). Dark Matter gathers – but it takes time. This is exactly what my theory of Dark Matter predicts. In my own theory, Dark Matter is the result, the debris, of Quantum Interactions (entanglement resolutions, singularization) at very large distances. This debris gathering takes time. My Dark Matter theory predicts that Dark Matter is an Emergent phenomenon. No other theory does that. 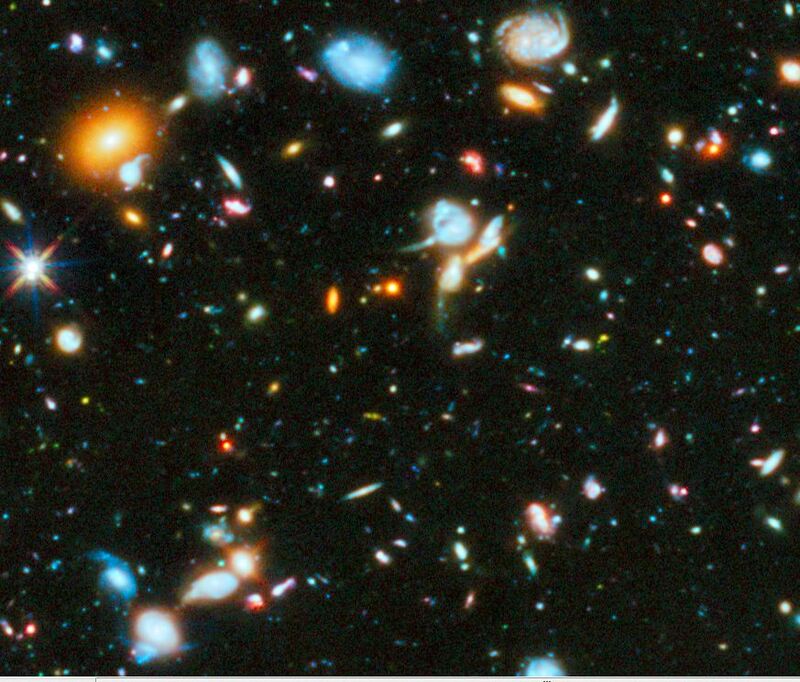 Studies of more than 100 old giant galaxies support my theory, why making the situation (very) difficult for the conventional Dark Matter theory (“LCDM”) and impossible for the MOND theories. This progressive build-up of Dark Matter is NOT predicted by the other two Dark Matter theories. The standard (LCDM) cosmological Dark Matter model does NOT predict a slow gathering of Dark Matter. Nor does the MOdified Newtonian Dynamics theories (MOND, relativistic or not) predict a slow apparition of Dark Matter.m the center and most of the visible matter.